How to Unlock: Have Lucy join your squadron during any mission of the Event Horizon campaign. The daughter of Peppy Hare, Lucy is a genius astrophysicist and Artificial Intelligence programmer. She has worked on numerous programs with research groups on Fichina and teaches there in her spare time. 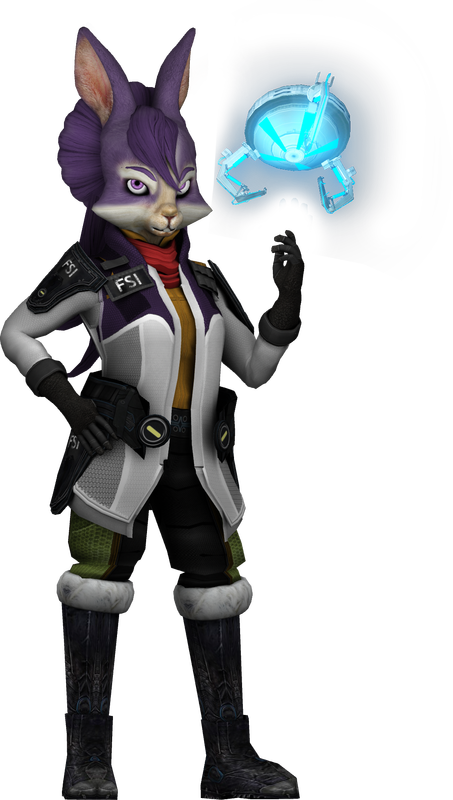 Currently she is assigned with studying Falyf's damaged Cerinian ship with hopes of unlocking its propulsion and control technology.